Gaura lindheimeri ‘Colso’ pp#14815 “Sunny Butterflies”™ copf Pride of Place Plants Inc.
Gaura lindheimeri ‘Colso’ pp#14815 “Sunny Butterflies”™ copf is a recent offspring of 'Siskiyou Pink'. 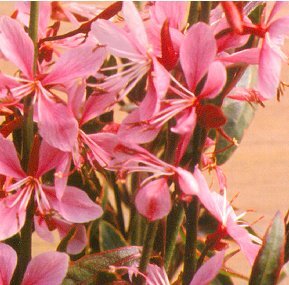 Developed by Mr. Howard Bentely of Plant Growers Australia, of Victoria, Australia. 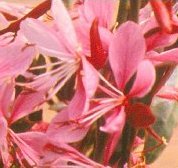 This New Cultivar is more compact, than the parent and is much more compact than the other variegated cultivar Gaura 'Corries Gold'. 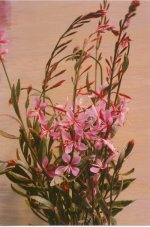 The pink flowers on this cultivar are held upright on sturdy green stems. 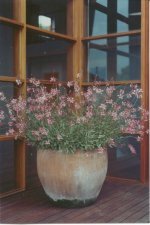 The white edged variegation with abundant pink flowers makes this New Cultivar an ideal plant for the perennial garden or as a potted highlight for the outdoor living space. It is adaptable to almost any soil and is tolerant of high humidity. 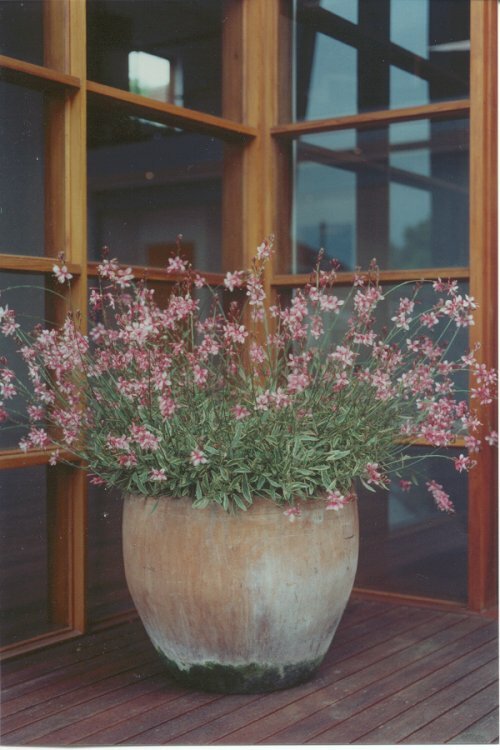 It is resistant to drought, but like most xeriscape perennials, it looks best when given regular irrigation. 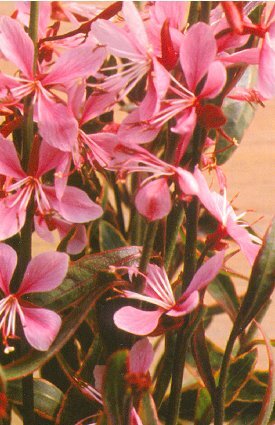 It blooms from early spring to frost, but flowers are most abundant in late spring.